Helen Murphy has done it all — a teacher, builder’s labourer, volunteer fire fighter and now Administration Officer for DOC on the Chatham Islands. Island Biodiversity is the theme for today’s International Day for Biological Diversity. 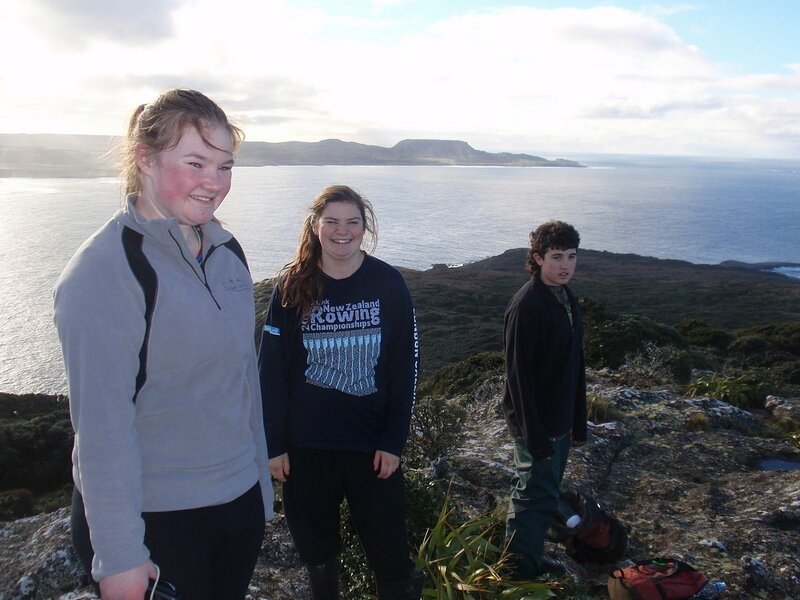 It’s May and the busy season of species protection work on the islands of Mangere and Rangatira in the Chatham Islands is coming to a close. It is often hard to find time for quiet reflection, but our final day on Rangatira sums up what is has all been about. 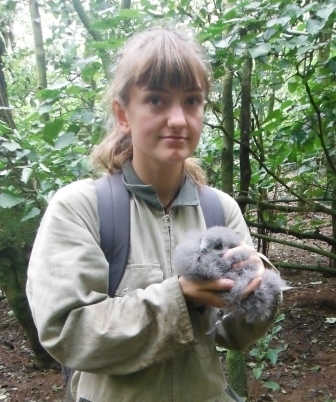 Trainee Ranger, Naomi Muhlbacher, holds a Chatham petrel chick. It lives in an artificial burrow installed in the nineties to help protect one of the rarest seabirds in the world and reduce burrow invasion by broad-billed prions. With an estimated 300,000 prion pairs on Rangatira, and only 150 known Chatham Petrel pairs, competition for burrows is high. I am fitting the chick with a metal band, so when it returns to breed in 3-5 years time, its identity can be verified. 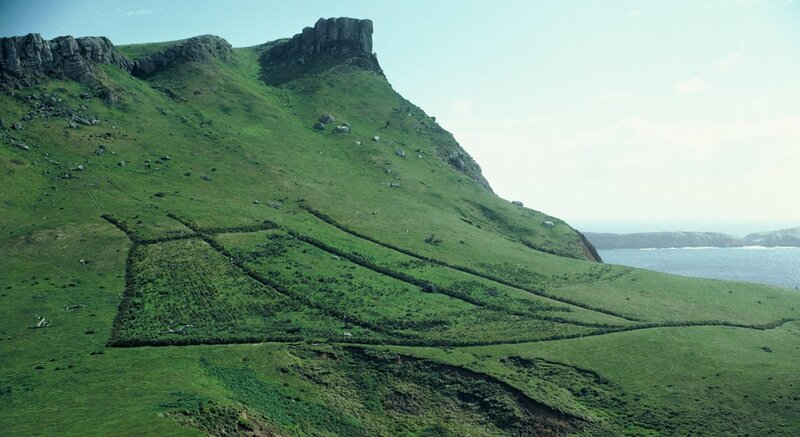 This island was farmed up until the late fifties and most of the burrowing seabirds lost their home to heavy footed cattle and wandering sheep. 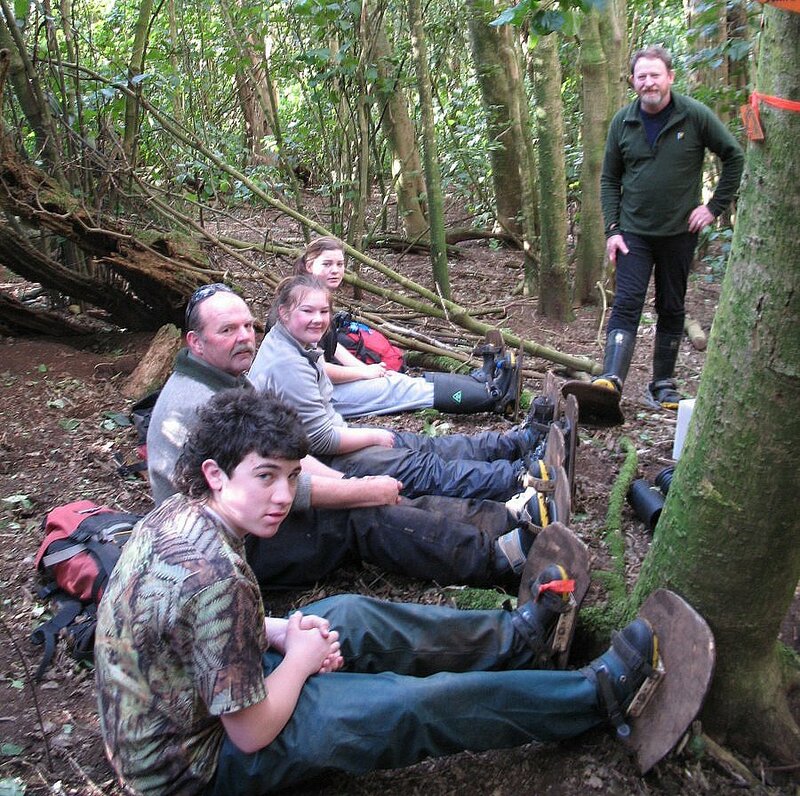 Now the ground is so pitted with burrows, we wear wooden boards on our feet to prevent us damaging them further. A black robin comes in to take advantage of the loosened soil and insects I have scooped out of the plastic tunnel entrance to ensure the chick has free passage to come in and out when exercising its wings ready for departure over the next few weeks. 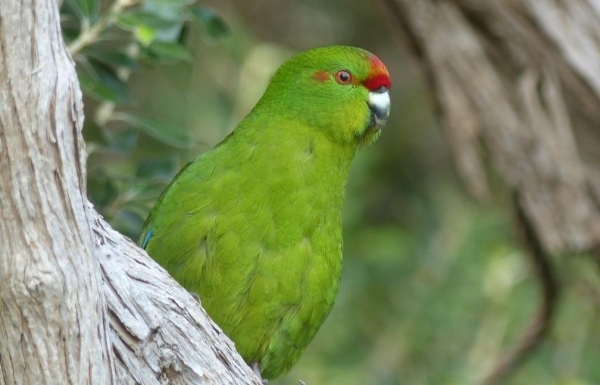 Chatham Island red-crowned parakeets chatter above us in competition with the Chatham Island tūī, fluttering from tree to tree, with constant vocalisations. A Chatham Island snipe snuffles through the leaf litter, totally unperturbed by our presence and a male Chatham Island tomtit, sounds his alarm as he wards off the black robin from the fresh feeding ground. Last month a team of highly skilled volunteers and I scoured the island searching for black robin—completing the annual banding and post-breeding census. On an island with almost 200 hectares of potential robin habitat, it is quite a job. 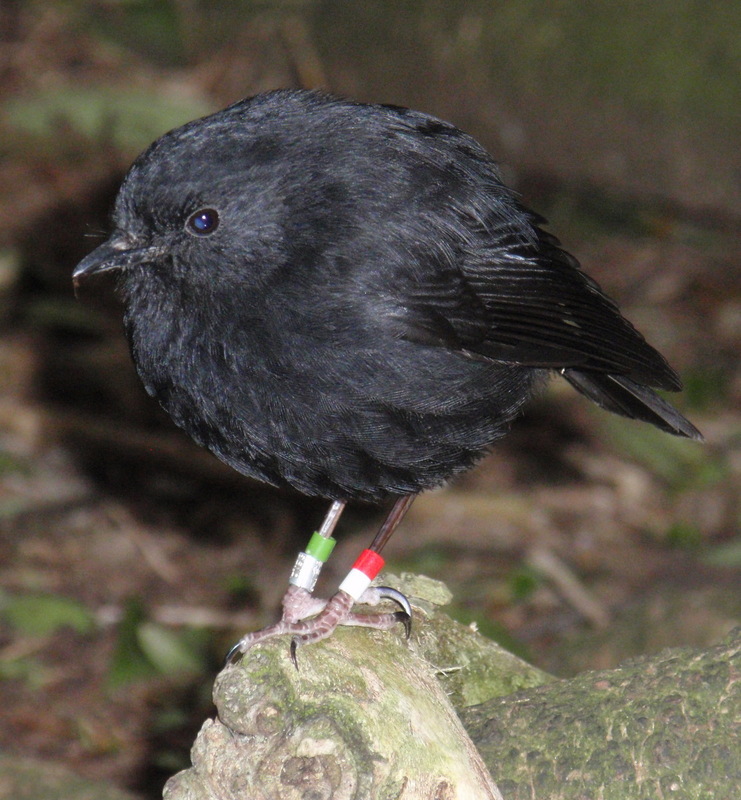 Currently there are 229 known colour-banded adult black robins and 70 juveniles on Rangatira. The nearby island of Mangere is smaller and with less than 10 hectares of mature forest, and holds a population of 45 adults and 9 juveniles. With this being the entire population of black robin in the world, protecting them is high on our priority list. 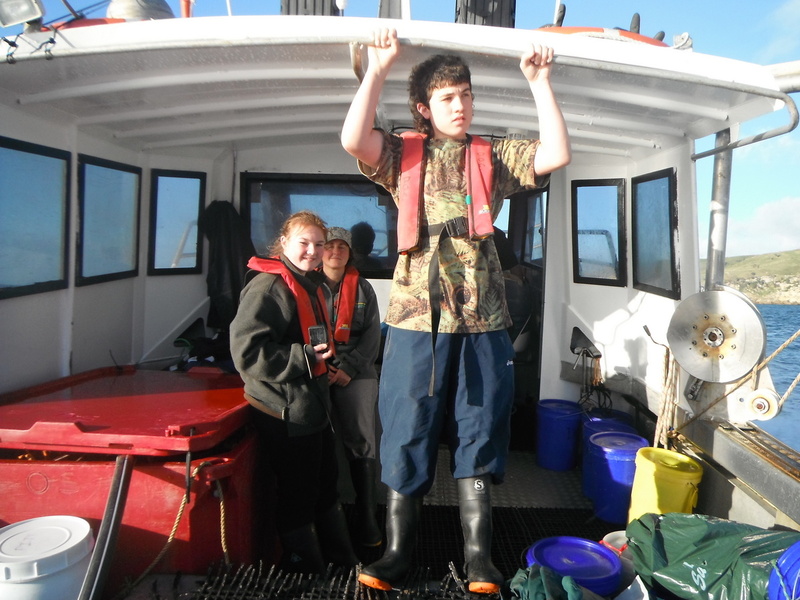 Before leaving Rangatira, we recheck all the coastal bait stations for sign of nibbling rodents and ensure all bait is fresh and ready for any unwanted arrivals. 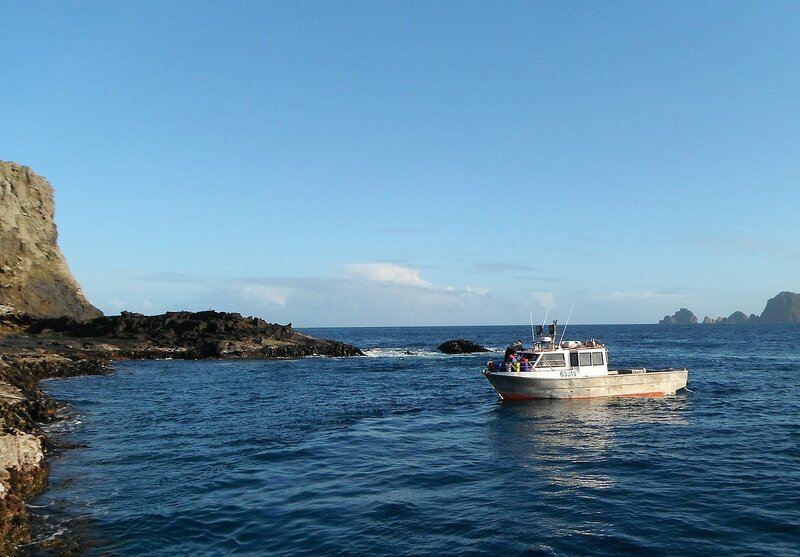 The rough seas around the islands and the rat free status of the nearest neighbour, Pitt Island, has probably helped keep the islands pest free. However bio-security is still the most important job I do and the responsibility of getting it right every time feels enormous. Today, we pause to relax in the sun on the lichen covered rocks with the skinks and shore plover, all of us enjoying some unexpected late autumn warmth. 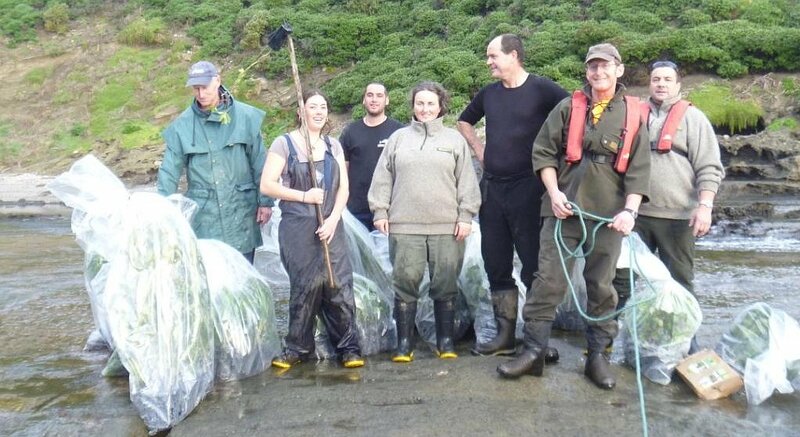 Chatham Island warblers pick insects from the lichen and bull kelp thrown high on the coast during the recent storms. A Chatham Island fantail displays in the fringing Olearia trees and a pair of Chatham Island oystercatchers stand proud in the spray zone separated from the frolicking fur seals by a rolling ocean of breaking blue. 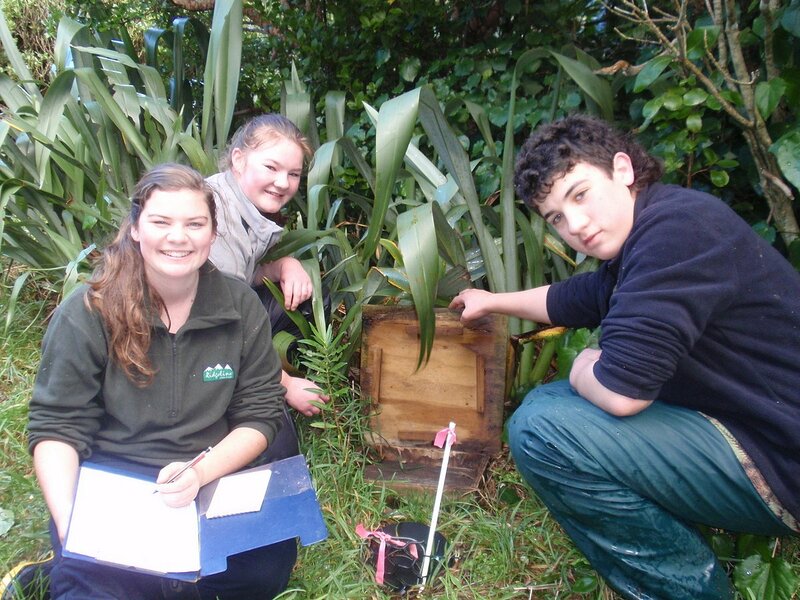 For us in the Chatham Islands, every day is an ‘Island Biodiversity Day’. For 5 years Kenny Dix was DOC’s ranger in New Zealand’s most remote community – Pitt Island. 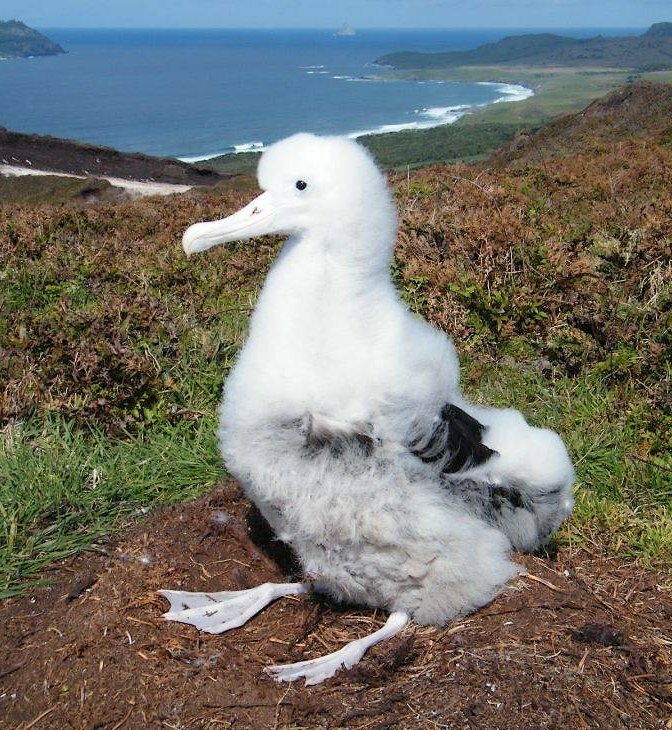 Situated 25km south of Chatham Island, the 6,000 ha Pitt Island is home to around 30 people – and one pair of Antipodean wandering albatross. 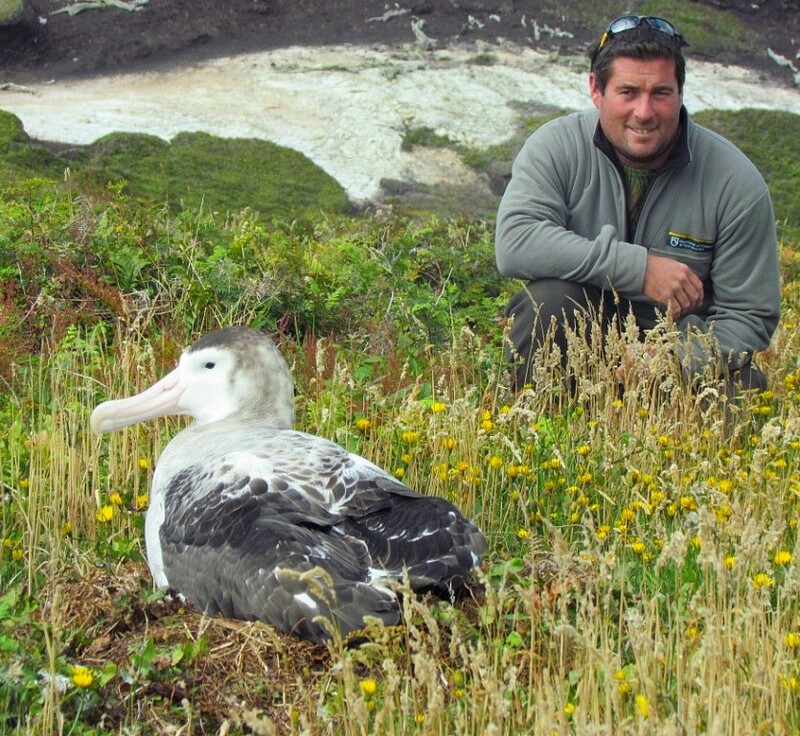 Now working on the “big smoke” of Chatham Island, Kenny recently took the opportunity to return to Pitt to band the wandering albatross chick atop Hakepa, one of the islands high points. This is the sixth Antipodean wandering albatross chick to be raised on Pitt Island and the fouth for the Hapeka pair. Taking almost a full year to raise, this chick will hopefully fledge in January and commence wandering the Southern Ocean. It may be up to 10 years before the chick settles down and breeds for the first time. As the name suggests, the primary home of the Antipodean wandering albatross are the Antipodes Islands, some 700km to the south. Having visited the Antipodes myself, I can see why Hakepa’s windswept plateau, tussock and fern vegetation and magnificent views seem like home to the albatross. Another pair of albatross at the Southern end of Pitt produced a chick two years ago, however failed to return this year to breed. We’re hoping that they might show up next year so than Kenny can keep up his banding skills. Mangere Island in the Chatham’s provides an important predator-free refuge to many rare and endemic invertebrates, birds and plants. 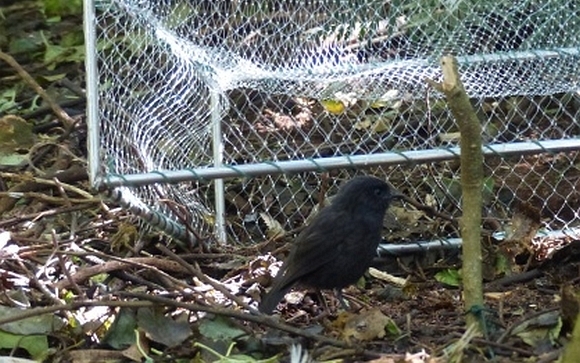 Restoration first started on the island in the 1970’s with the Wildlife Service planting akeake shelterbelts in Douglas Basin and on the Top Plateau in an effort to expand the habitat available to black robins. 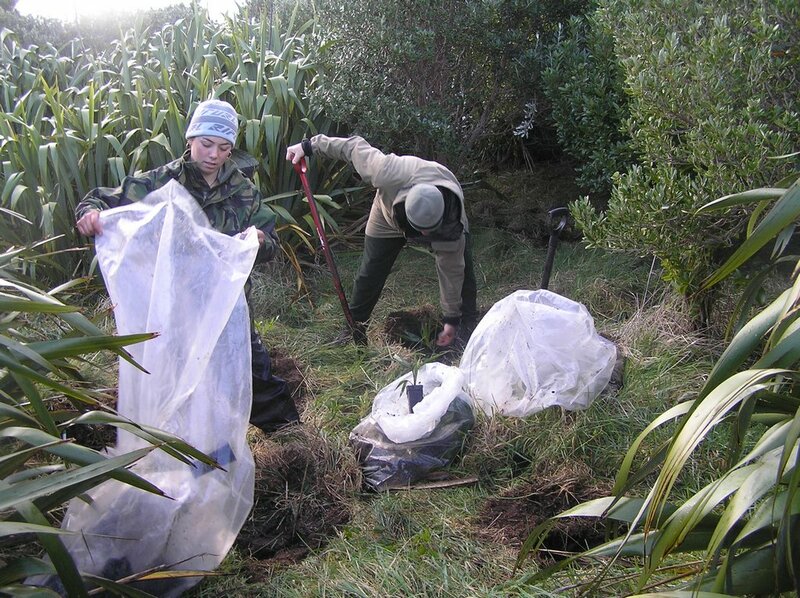 Since the early 1990’s tens of thousands of akeake have been planted on the island thanks to the Tuanui and Moffet families and planting contractors. As part of the ongoing restoration I led a team of seven people in a week of planting on the island in June. Although the weather was a bit on the miserable side (gale force winds, very cold and hail most days), we kept warm carrying the heavy bags of plants from the boat landing up to the planting area in the basin. We managed to plant 1850 plants under the emerging canopy, adding diversity amongst older plantings many of which are self seeding and spreading naturally in the basin. The species planted this trip included Chatham Island nikau, kawakawa, hoho (Pseudopanax chathamica), ngaio, mahoe, ribbonwood and matipo. All the plants were eco-sourced, meaning the seeds were collected locally from Mangere, Pitt and South East Islands and were grown in the DOC nursery at Te One before being transported to Mangere and planted. As well as planting, we also cleared tracks, checked rat bait stations, ran rodent tracking tunnels and collected seed for future plantings. We also had the opportunity to visit Robin Bush to view the black robins and walk up to the summit to enjoy the spectacular views of Mangere, Little Mangere and Pitt Island. Next year will be the last year of akeake planting on the island however diversification plantings will carry on for the next ten years as part of the long-term ecological restoration of Mangere Island.